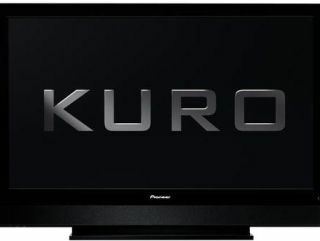 If you own one yourself, the news that Pioneer is to cease making its lauded Kuro range of plasma and LCD TVs could set alarm bells ringing. Having spoken to the company today, it appears you needn't be worried. Pioneer says it will withdraw from the display business 'by' March 2010 (or presumably when its warehouses are emptied), but has promised to honour warranties and after-sales services far into the future. As well as the standard one-year warranty on its plasma TVs, Pioneer is currently running a promotion on its website for five-year warranties. Jim Catcheside, Product Manager for Home Business Division at Pioneer GB, told TechRadar that repairs that far into the future won't be a problem. "Pioneer is not going bust," he said. "The plasma business only accounts for 14 per cent of the business." "Warranties will be unaffected and the products fully supported by Pioneer, from spares to software and support - engineering support will be maintained at Pioneer." Replacement parts will be available up to seven years from date of purchase, which is an industry-wide standard. Pioneer will continue to sell its 50-inch PDP-LX5090 (around £2,000) and 60-inch PDP-LX6090 (around £4,000) all-in-one plasmas, and its 50-inch KRP-500A (around £2,400) and 60-inch KRP-600A (around £4,700) sets, which come with separate media receivers. Its recently introduced range of Kuro LCD TVs, the 32-inch KRL-32V (around £700), 37-inch KRL-37V (around £1,000) and 46-inch KRL-46V (around £1,600), as well as its KRF-9000FD projector (around £6,000) will also enjoy after-sales support despite also being dropped by the brand.